I could have sworn that there is a New Gear thread or forum somewhere. Oh well. 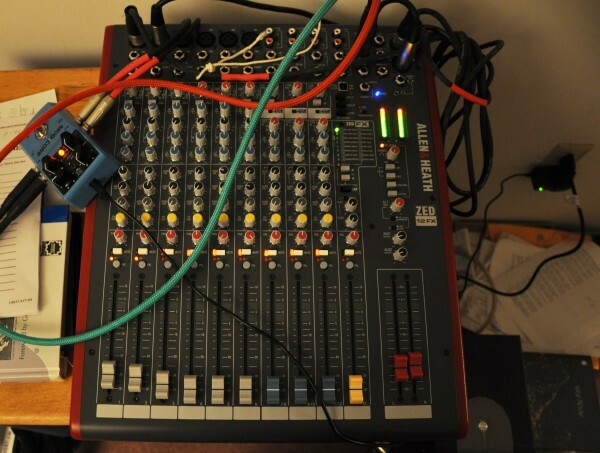 New ZED12 FX mixer from Linda and NUX Mod Core fx unit from Jeremy. Working up some new Zero Input Mixer material. Zim Zed - sounds like a band name. Anyway, congratz on the mixer, looking forward to hearing some more zimming from you. And congrats on the mixer! I have a ZED-14 and it's superb piece of gear, especially considering the price. Thanks! It's suggesting things to me. I probably won't have time to prepare a proper piece for spring equinox webcast because I have a big processed-acoustic-instrument event coming up in our planetarium on April 1, but I should have some serious ZIM ready in time for the summer solstice webcast.